it is cute as always!!! So pretty - love the colors of her clothing/stockings. Beautiful Amy ♥ Love the light spring colors too! Oh, this is to cute. 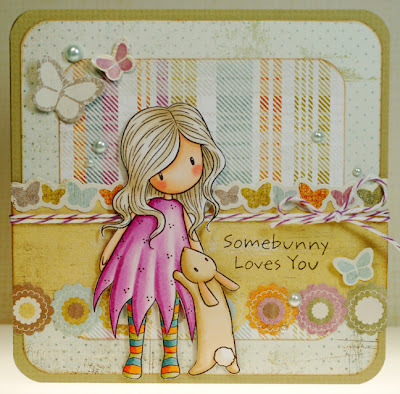 Gorjuss card, love the colors you've used. So sweet. So pretty. 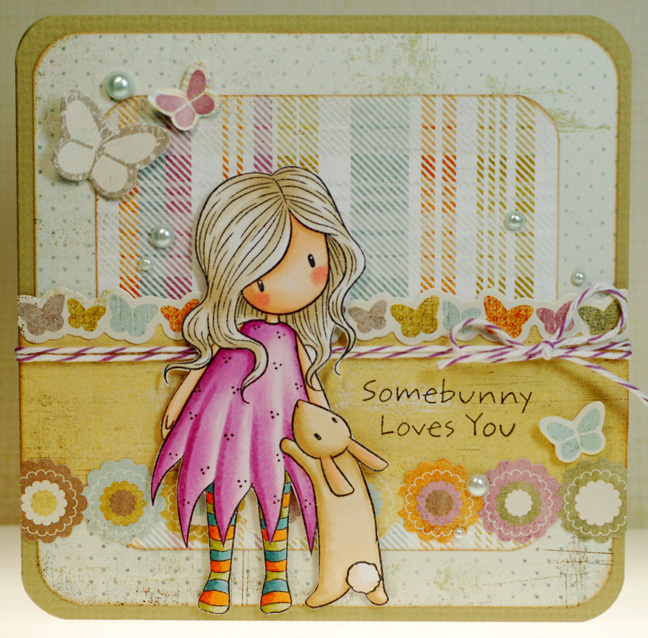 Loooove the Gorjuss girl and her rabbit, and love the colours you've used to colour her in with. The first season of Game of Thrones has been on TV here in Norway too. I absolutely loved it, so I'm considering buying the books myself. I love Game of Thrones too. I read it a month ago and also watched serial. I can't wait next season. I have a few Gorjuss stamps, but am so intimidated to try coloring them.. lol. Anyway, thanks for sharing such a cute card. AWE this is sooooo darn cute! love it! Aw, very cute! I love how you colored her stockings! Adorable!! i miss reading books!! :) hope this new one has a better ending for you. awesome card...the color scheme is very pretty!